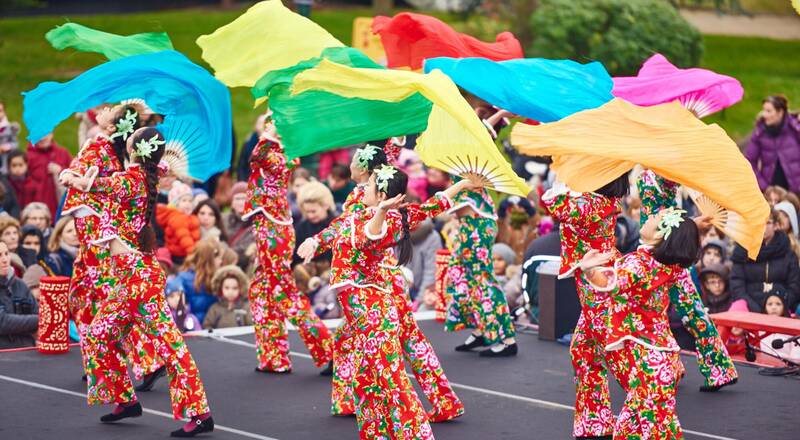 To mark the 50th anniversary of diplomatic relations between France and China, the Jardin d’Acclimatation organized a grandiose and colorful carnival, inaugurated by Zhai Jun, Ambassador of the Republic of China to France. Visitors wearing costumes for the occasion were admitted free to the park. 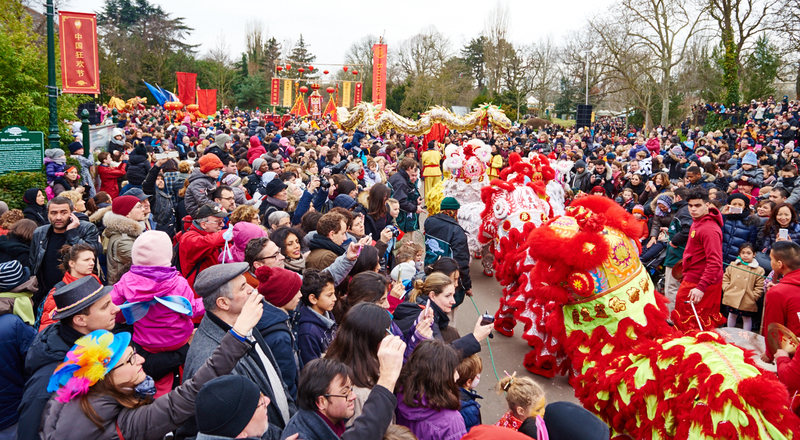 More than 10 000 carnival-goers flocked to the Jardin d’Acclimatation to celebrate the Chinese New Year on February 17. The festivities were inaugurated by Chinese ambassador to France Zhai Jun. Led by dragons, a gigantic parade wound through the park’s lanes. 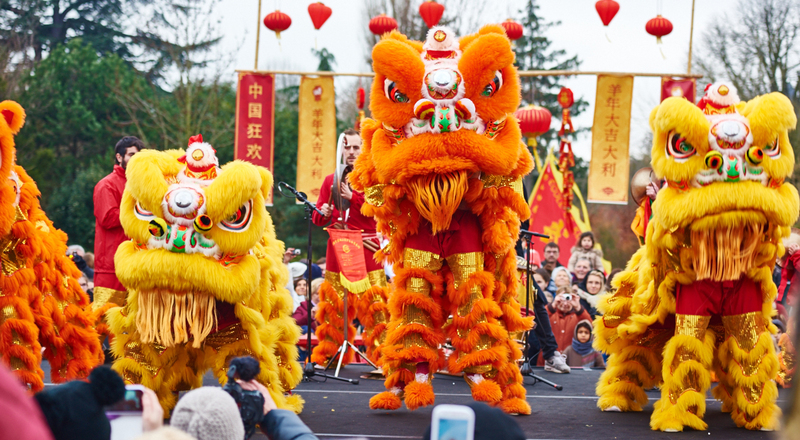 Dancing lions, ribbon dances, jugglers, a band, martial arts demonstrations and giant marionettes all delighted the crowds in an atmosphere made even more festive by traditional Chinese lanterns hung in the lanes to illuminate the Jardin d’Acclimatation. A schedule of other special events celebrating the 50th anniversary of the establishment of diplomatic relations between the People’s Republic of China and France will run until March 2. In addition toa fortune cookie baking workshop there are flower arranging and tai-chi classes and a makeup booth, giving everyone a chance to discover more about Chinese traditions and culture. “The Jardin d’Acclimatation welcomes a growing number of Chinese guests during their visit to the French capital. In 2008 we hosted a month-long exhibition dedicated to China. We are delighted to carry on this relationship by honoring a country that is a great friend of France and its two billion inhabitants,” said Marc Antoine Jamet, President of the Jardin d’Acclimatation.